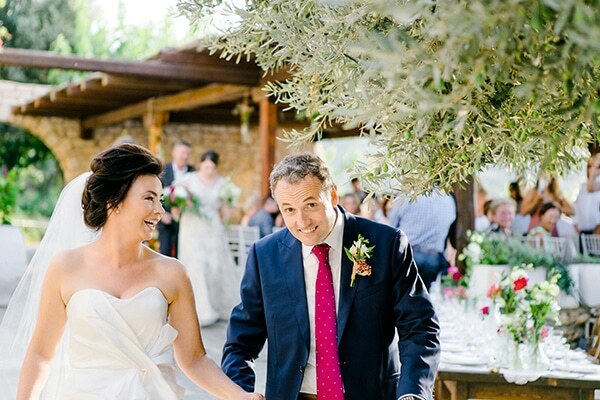 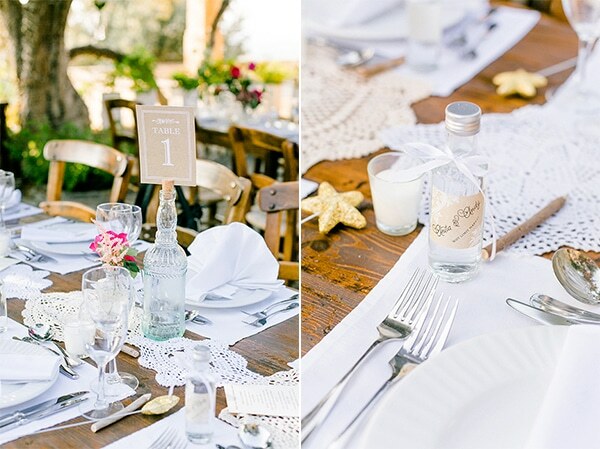 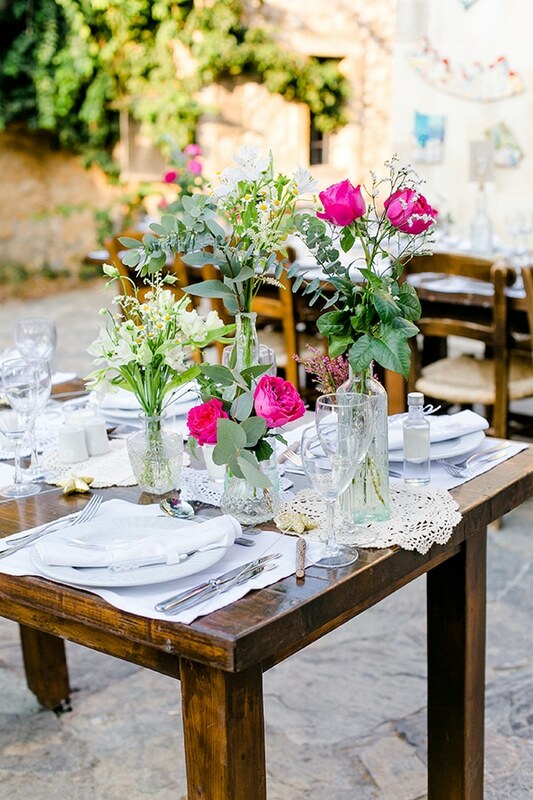 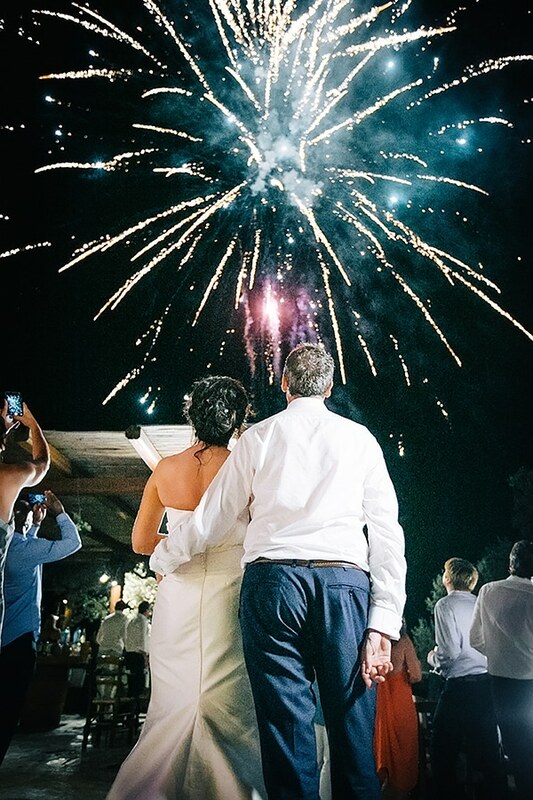 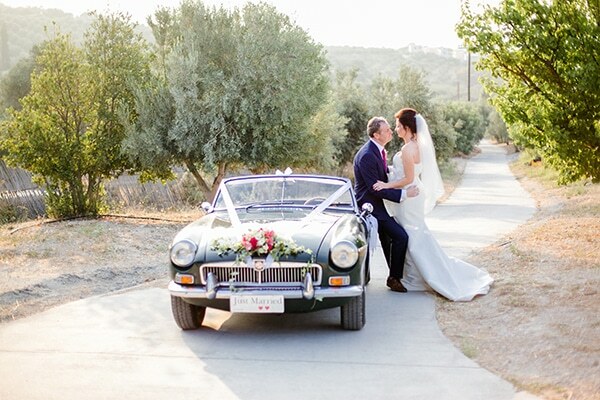 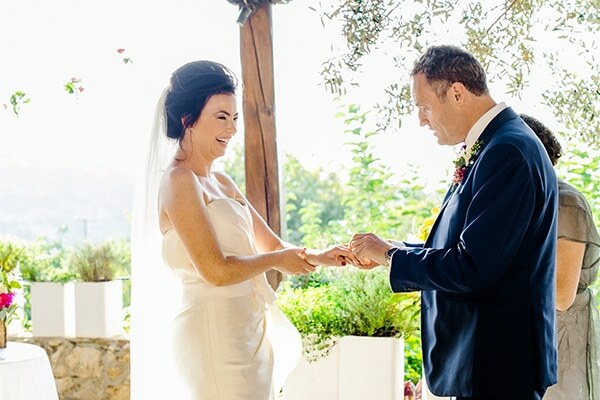 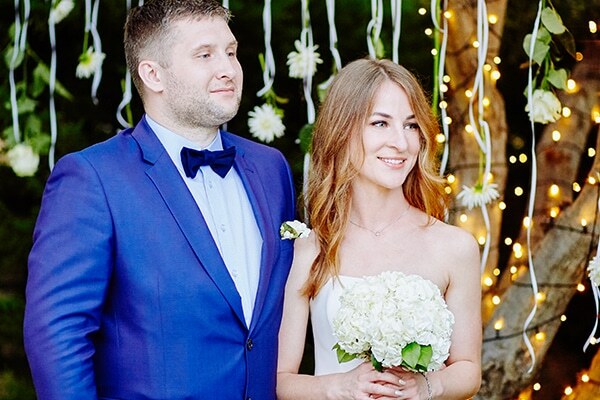 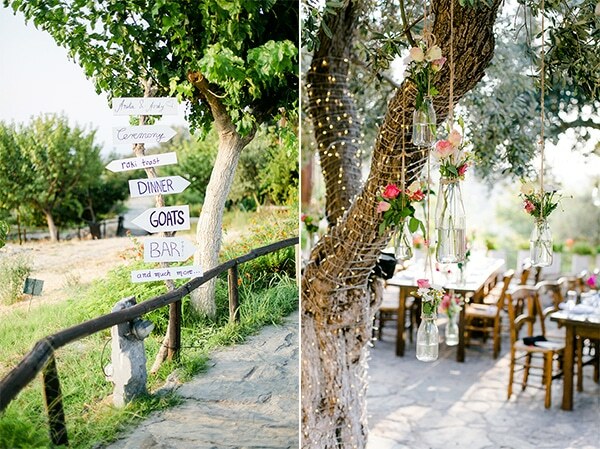 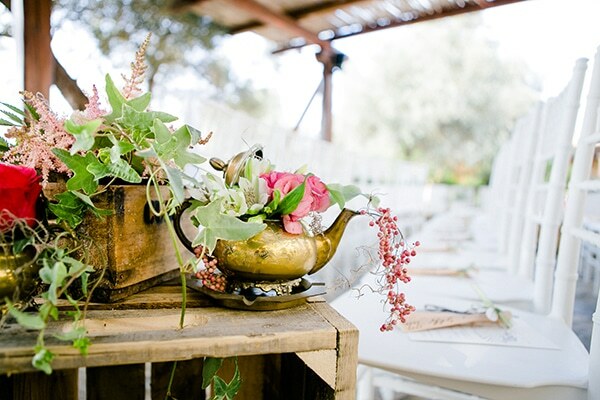 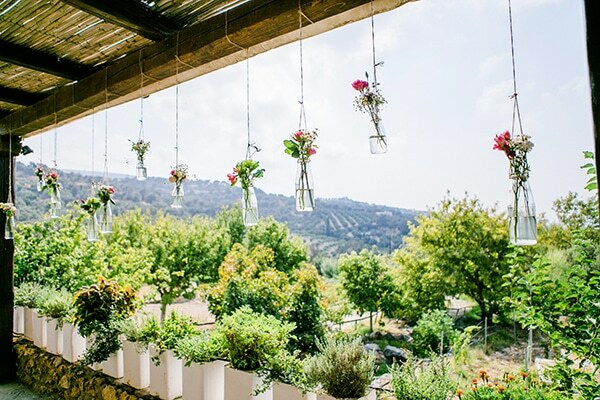 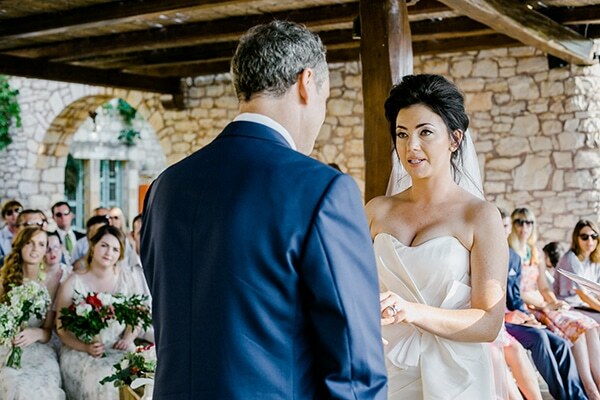 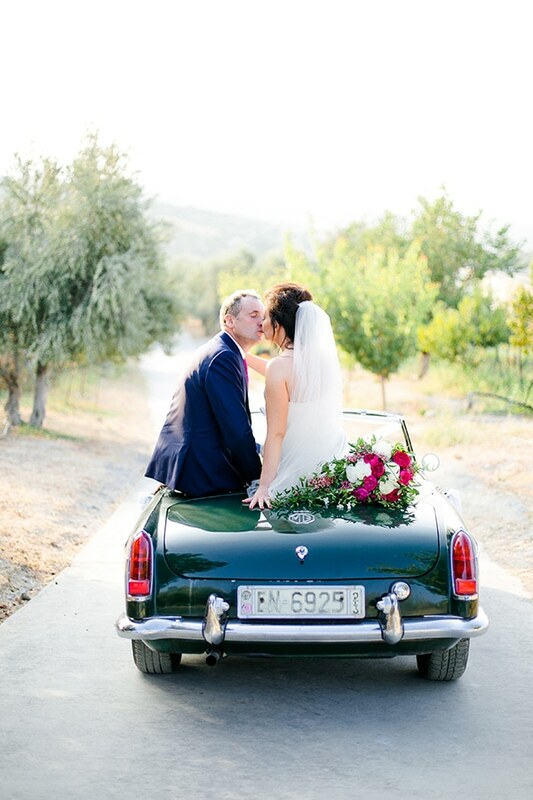 This couple’s love for Greece made them have their gorgeous wedding in one of their favorite places, at Agreco Farm in Crete. 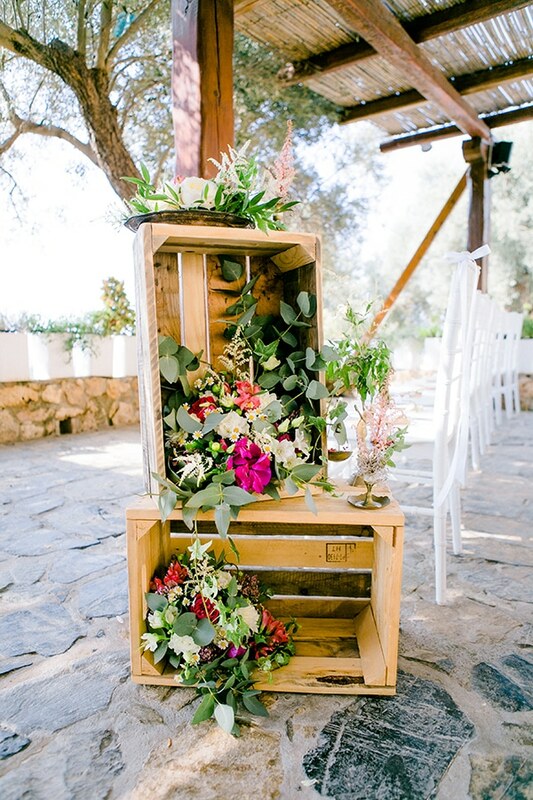 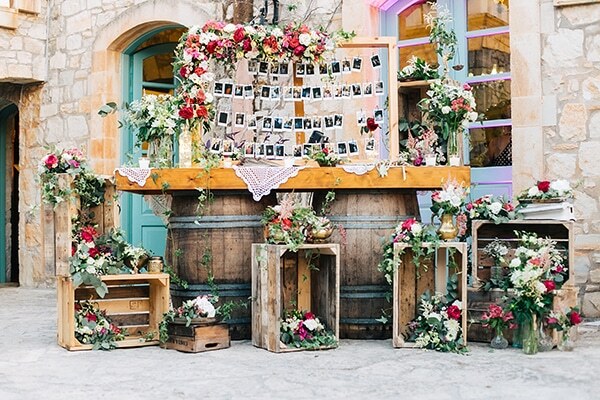 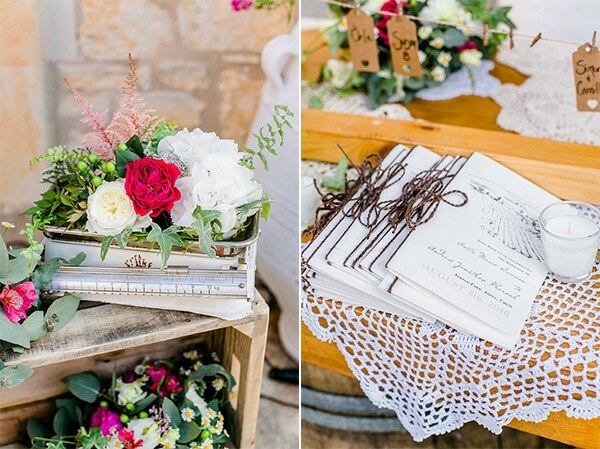 The wedding was inspired by the natural surroundings, so the decoration followed a rustic, vintage style with wooden, lace details and many, many flowers. 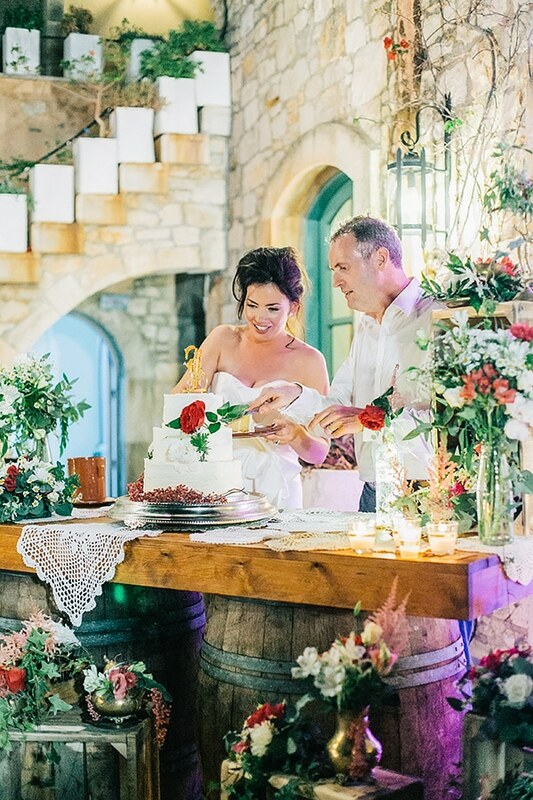 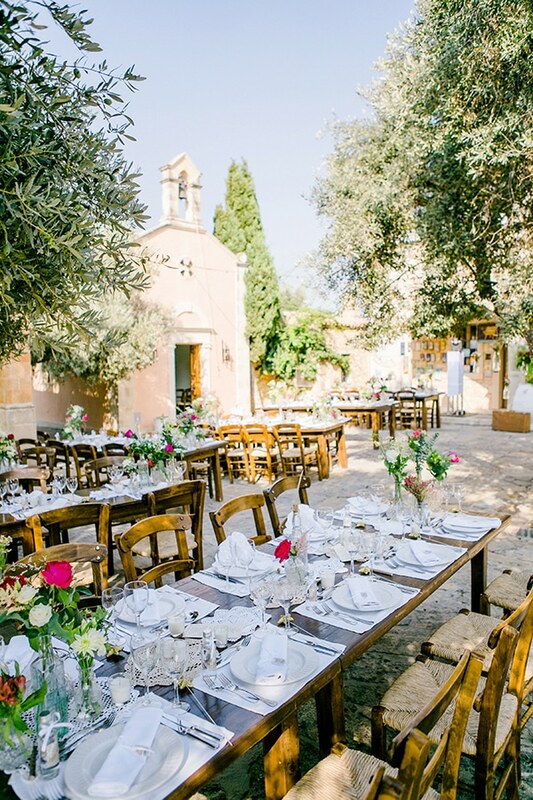 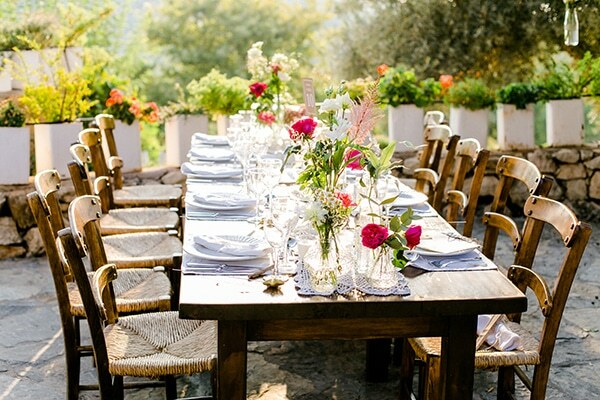 Flower designs in white and deep pink color tones adorned every single table, the olive trees and the impressive, delicious wedding cake. 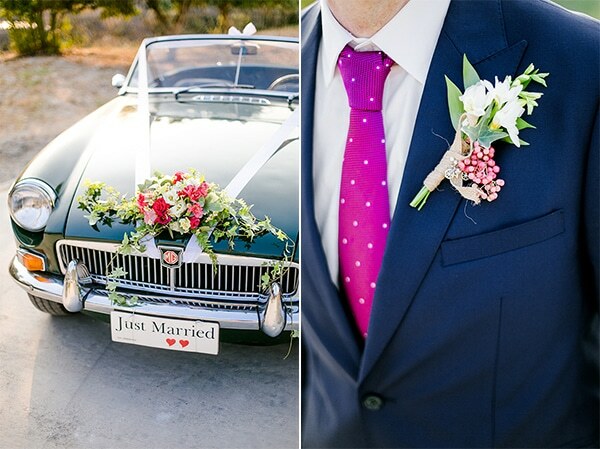 Special touches in this wedding were the hanging bottles with flowers and the unique, vintage car! 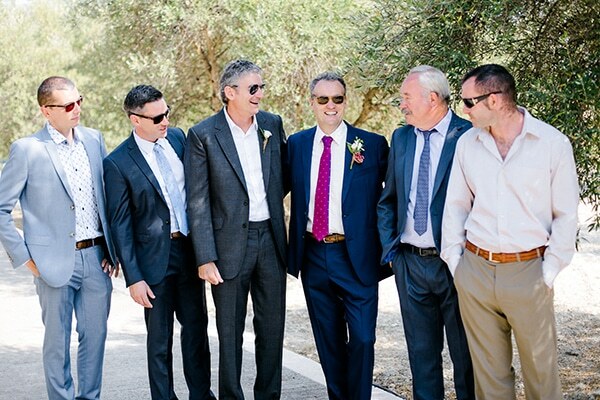 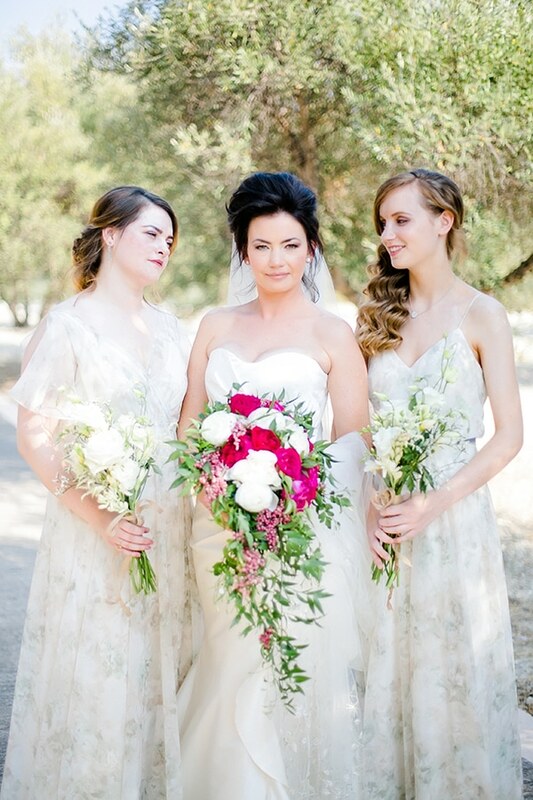 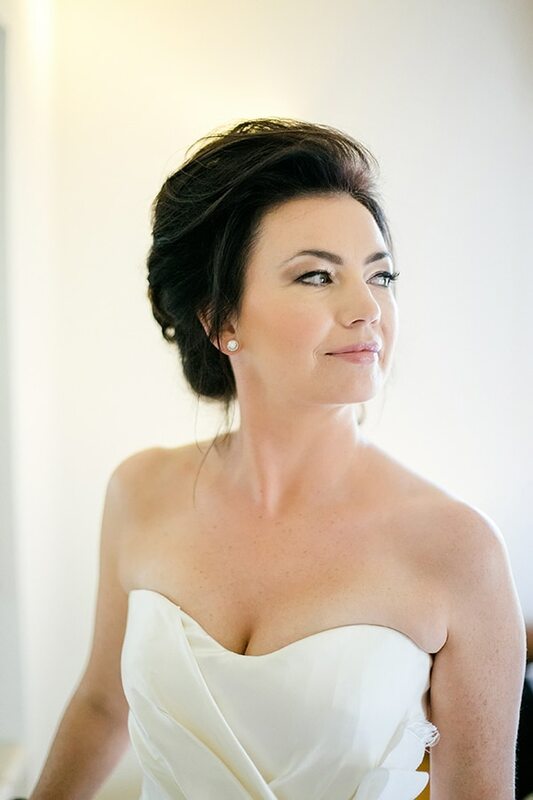 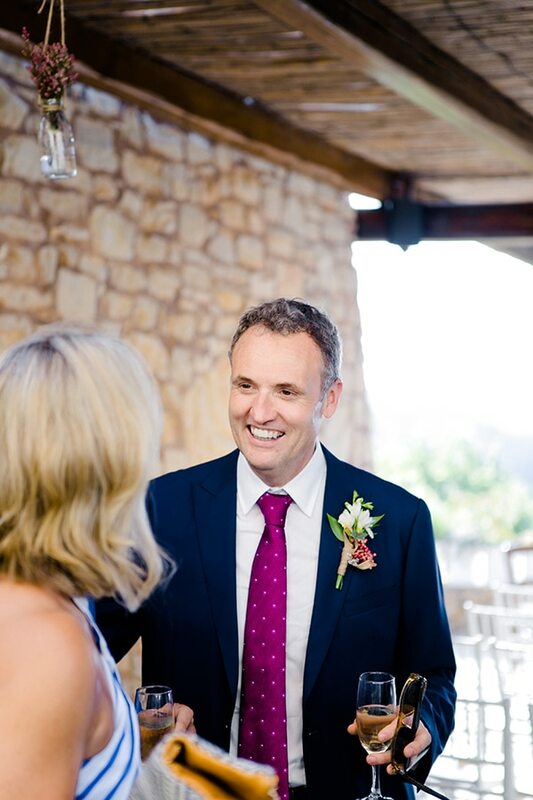 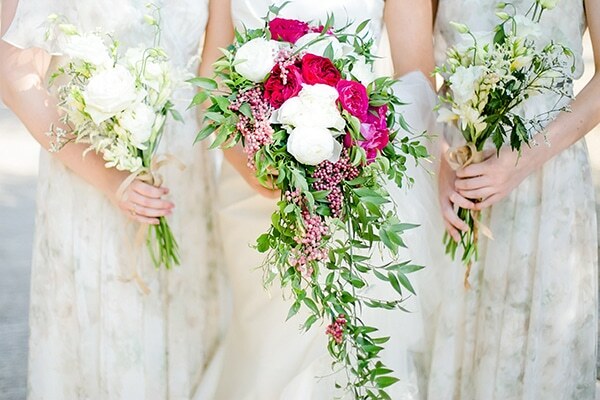 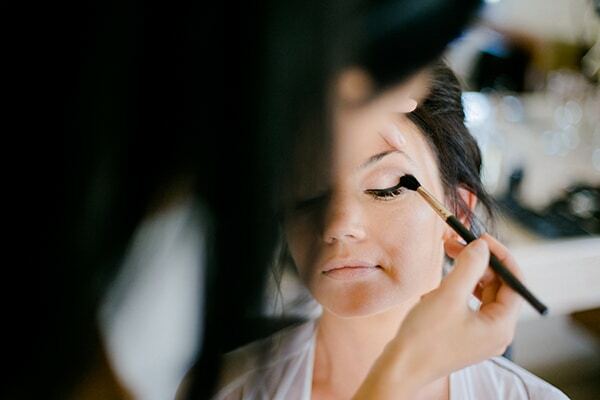 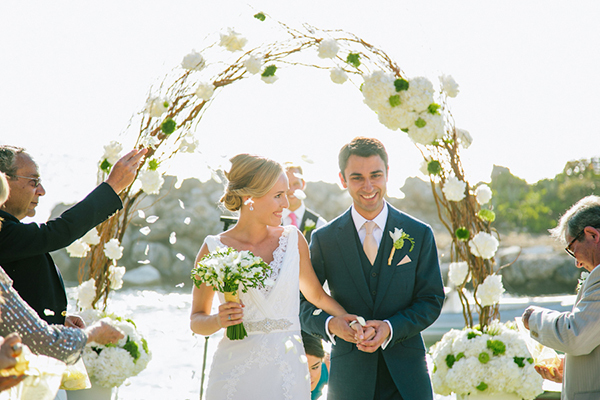 Enjoy every single moment of this wedding through the following, beautiful photos! 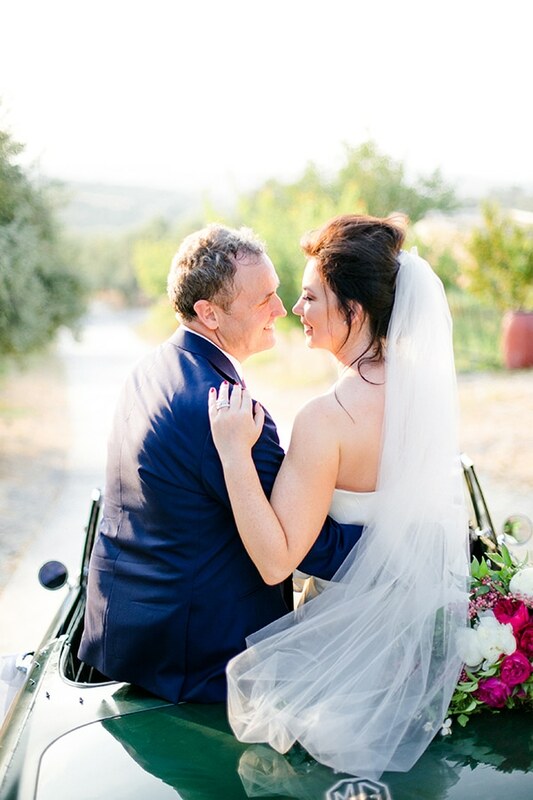 “My husband and I met at work. 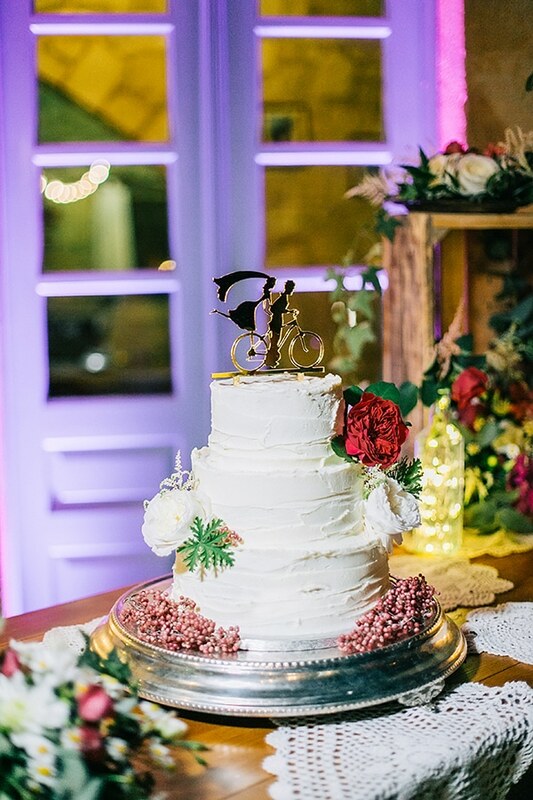 He proposed by during an Art Fair in my favorite neighborhood, Old Town in Chicago. 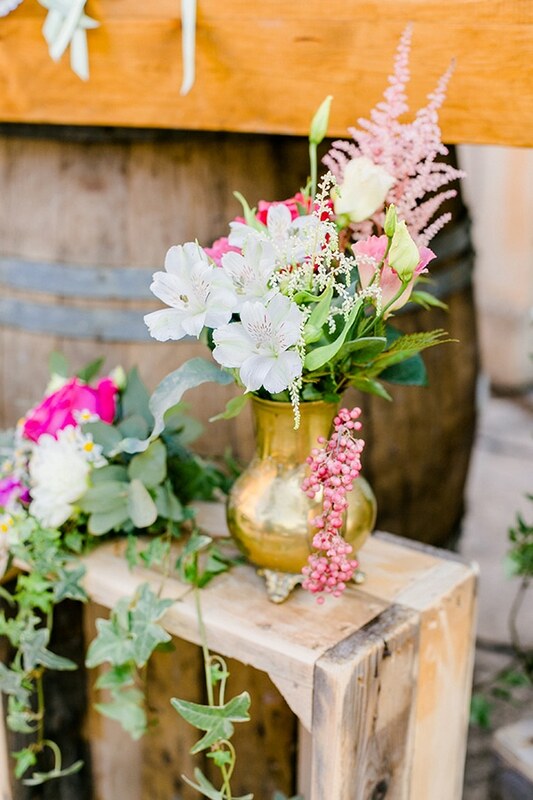 Prior to the Art Fair, Andy worked with a photographer to capture individual chalkboards at my favorite places in Old Town. 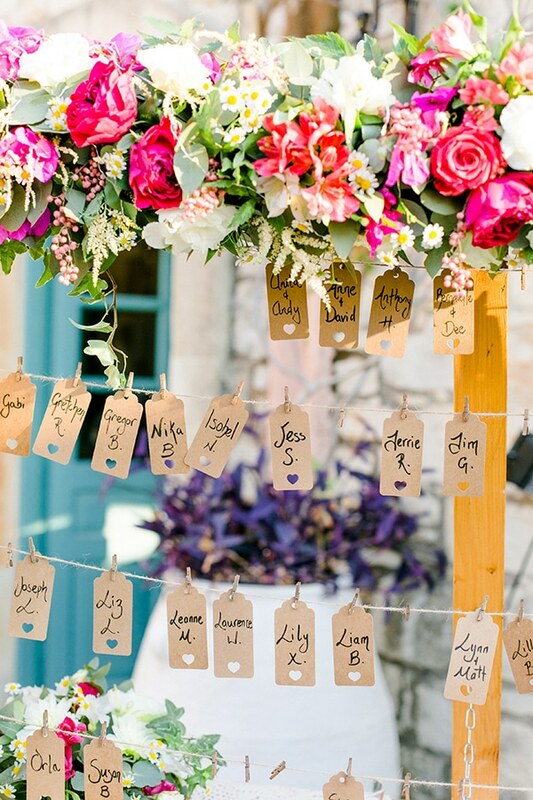 Each chalk board had a word inscribed “Will” “You” “Marry” “Me”. 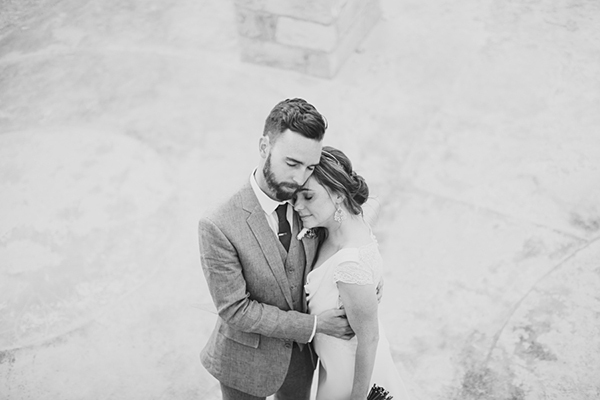 Andy then had the photographs printed and framed as one piece of art. 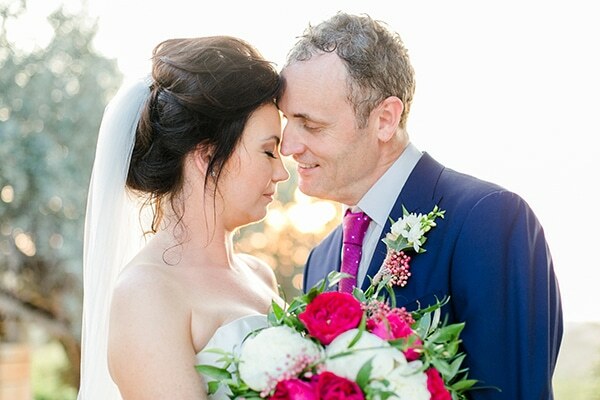 A week later when I walked through the Art Fair, he led me towards an artist’s stall, and as I approached, I saw a beautiful photo composition that read, “Anita, will you marry me, love Andy”, when I turned around, Andy was on bended knee”, the bride shared with us.